The cast of MTV's new show "Jersey Shore." Rumor has it that the MTV hit "Jersey Shore" is taking over Sea Isle this summer. Yes, you read that right, there will be a second season of the ridiculously dramatic, you feel dumber after you watch it, train-wreck of a show that you just can't seem to turn off. Although no official statement has been released by MTV yet, cast member Vinny Guadagino let the cat out of the bag at an after party for the movie "Youth in Revolt" that both the cast and the network are up for filming another season. And why wouldn't they be? 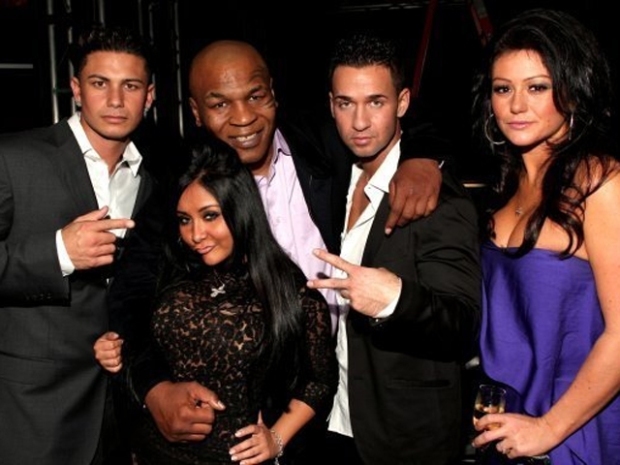 "Jersey Shore" has made these classy little Italians household names. Guadagino also let it slip that it's very possible that filming will take place in the small shore town of Sea Isle City, N.J. This little gem couldn't have come at a better time -- the depression was just setting in that the season was ending tonight. Oh, and you can bet we'll be fist pumpin' at the Springfield all summer long.